Yuki Tabata new series could be better than Naruto oh look is that a real friendship? Indeed this need a theme for the occasion, next chapter listen this. Edited by Phantom_999, 12 October 2018 - 01:28 AM. Still Noise as hell XD. AHHH!! YOU GUYS THAT CHAPTER OMFG THAT CHAPTER!!!! Noelle is easily the best female lead of the current shounen manga. Meanwhile Ochako's still waiting for an opportunity. Been over 166 chapters now since the sports festival fight Kohei. Edited by LuckyChi7, 12 October 2018 - 03:06 PM. It wasnt much of a fight than just a build for possible battle between her and Toga. At least, thats what it appears to be. Its not much to remember other than more build to her character losing a dimension for thinking only about love. Its pretty disappointing honestly. Edited by TouKen4Life3g, 13 October 2018 - 01:01 PM. Asta: Noelle what's up with that outfit, i'ts sooooo cool. Noelle: I was so Lonely and scared. 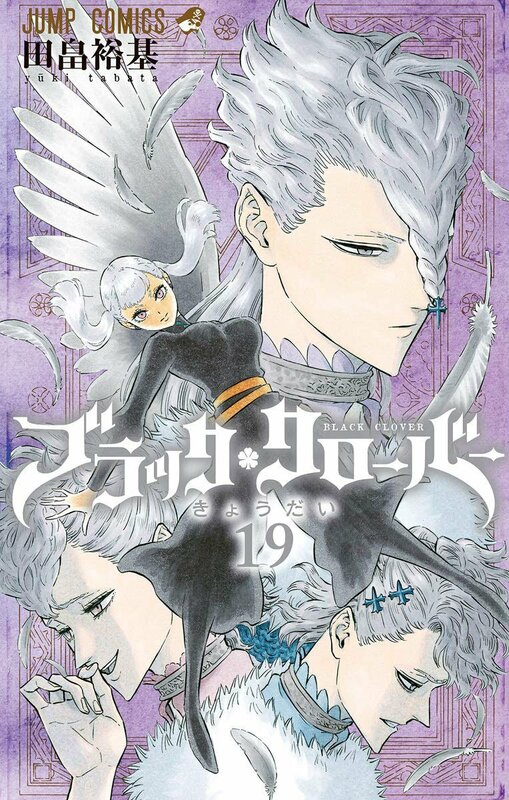 Black Clover. When Naruto discovers goth. Other than slight filler, they've been playing the series straight. Mostly because it's Bleach's animation team in charge of the anime's production, not Burrito's. No marginalization of the tsundere heroine or aggrandizement of the big-boobed girl that has a crush on the oblivious hero. Well there is a bit of exaggeration on Noelle's tsundere traits too but that's it. Agreed that they don't push the timid nice girl with the huge rack and has a crush on Asta into importance. Also I feel that Noelle is way more popular with fans again for a simple factor. She's falls for Asta very early in the series, does not insult or be-little him while professing her love and being a fan girl the rival, which was making Asta's life more difficult. Not to mention that Asta has no unrequited feelings for Noelle either. Plus she is established as a very powerful character that just needed learn how to control her powers ala Orihime. Edited by Phantom_999, 02 December 2018 - 07:16 PM. 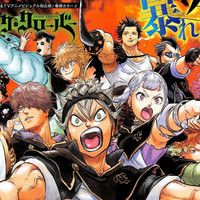 Black Clover now has an SD. Noelle is in the front cover for the next volume. You know, a heroine that is treated with respect. And why shouldn't she? that Valkyrie dress is AWESOME!!!!!!!! Our goddess looks absolutely beautiful!!! Noelle getting well deserved respect!! That is a heroine right there!! Kohei I hope you deliver real soon! I LOVE Noelle on the cover!!!! Cant say the same for her siblings though, I still dont like them by any stretch of the imagination. Edited by Phantom_999, 26 December 2018 - 11:45 PM. Speaking of which, didn't a manga starring g the heroines come out recently?